PD-US, Adapted from an image courtesy of US Library of Congress. If you have read my “About Me” page, you will know that I greatly enjoy watching Disney movies from the nineties—my favorite being Pocahontas. It is not only because it is nostalgic or entertaining for someone like me, but because I find it fascinating on so many levels to compare my thinking and opinion of a movie from when I first watched it 13+ years ago to now. Back then, I loved the movie because Pocahontas was a beautiful, strong, and influential woman that fought for what she believed in. In my opinion, she was and still is the best Disney “princess.” Back then, I also loved the movie because I thought it to be entirely true, which not only made me love the character more but feel empathy for the loss of her “relationship” with John Smith. 13 years later, although I still enjoy the film very much, I have realized what an impact time, education, and the falsification of history has made. You see, back then, even though I understood the general idea of two different races clashing against each other, I didn’t truly grasp the meaning of the word “savage,” and what it really means to be “civilized.” 13 years ago, I didn’t know the influence that the media had on my mind because back then when I was told that the film was based on the real life of an actual Native American princess, I believed it. You want to know what’s even stronger? Your own mind. Posted on July 10, 2013, in About Me, Kingdom of the Sun, Life and tagged Disney, education, History, Media, Movies, Native American, Pocahontas, Teaching. Bookmark the permalink. 12 Comments. I am a former history teacher and have to agree with you. History falls under the agenda category. It morphs as to what book you are reading, who the teacher is and the interpretations can vary immensely. The problem tends to be what to tell the students. Does the teacher relay the dirty laundry method of some of our past or does she or he clean it up. Everyone of the historical figures can be viewed in different lights. Did not he colonists who fought England play fair? Was Washington such a great genius that he could not figure out Valley Forge was not the greatest place for his army? Second guessing is an enormous problem in history. Pocahontas is a Disney cartoon and therefore subject to being cleaned up for the younger audience. 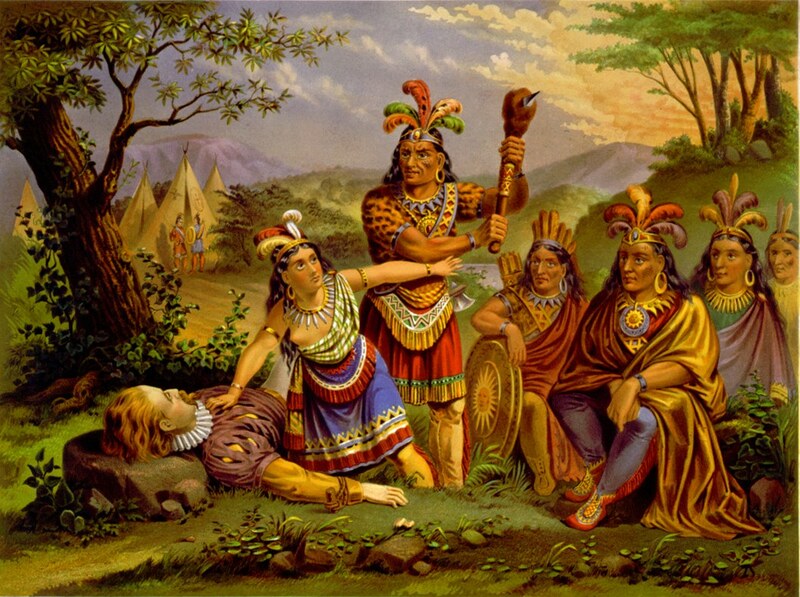 The treatment of the indigenous population by those who came to this country was not always benevolent. There are areas of history which do not depict the best in man kind. I enjoyed reading your comment because it reminded me of the main reason why I had such a hard time being taught history. I felt like I was being “feed” information that most of the time seemed to me like propaganda. There were many times when I learned the truth of what I was previously told, and I cannot express the anger and shame I felt when I did. There are many things that cannot and should not be sugar-coated because then they can become lies and veer one from the real truth. Dirty laundry is a part of history, true history. But as you said, it depends on the teacher and textbook being used. I’d love to hear how you went about it yourself. Thank you for this insightful comment! It was extremely difficult to negotiate the currents of good reporting the facts which can be twisted and the truth which might be difficult to come by. I will give you one example: I was teaching the crusades which were started by a Pope (Urban the Second) who declared that he lands Christ had walked should not be in the hands of the those who did not believe in Christ. One student asked who the pope was. I explained only the position in the church hierarchy the position of the Pope. Two days later my principal was sent a two page letter that inferred that I was teaching religion in the classroom. I had to show my lesson plans indicating that I was only following the book or I would be in trouble. Fortunately it was in the book and I was exonerated. Wow! Unbelievable. I cannot even imagine being a history teacher and having to worry about things like that. I didn’t even realize this until you shared that story, so thank you. The worse subject and you really needed to stay clear of it was the concept of evolution. Understand that but the alternatives are loaded with danger. One thing you must never do is take a side. Yet the students will try to box you into a corner and that inevitably leads to getting somebody upset with you. I found the same problem concerning anytime there was an election. The students always wanted to know who I was for and I did my best to stay neutral. oh, absolutely. Students know that teachers cannot take sides, so they will try to box them in a corner like you said. Election time was just as you mentioned. I had a teacher that said she should reveal who she voted for at the end of the school year because some students kept pestering her about it. I assume it was in hopes that the students would drop it and forget it. That of course didn’t happen, and it was something that shouldn’t have been done in the first place. Are you teaching next year? Let me know and what grade are you working with. Mistakes are made. Being an ex-teacher I certainly made many mistakes. Some bit me in the behind and some went away. The worse was the last period on a Friday. It just ruins your weekend and you spend a lot of time thinking the worse. That’s another thing many don’t understand…Teachers make mistakes as well. There are of course certain “mistakes” that should never be made, but overall, your comment reminds me of the immense pressure they have.